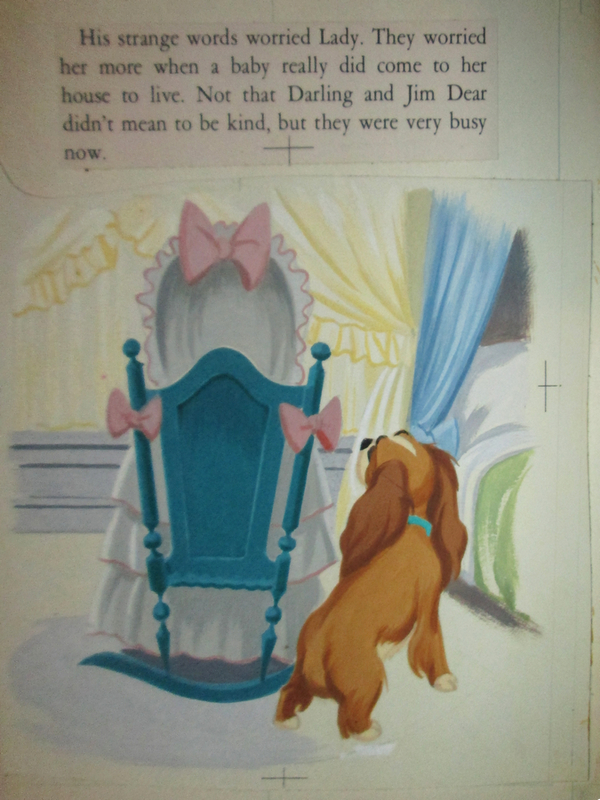 This is an original illustration painting for the 1955 Little Golden book, Lady and the Tramp. This painting features Lady looking at the bassinet and was hand-painted by studio artist Claude Coats. The piece is in excellent condition and has the text for the page applied in the blank space at the top of the illustration board. The piece is in excellent condition.